-Explosion Proof To I, Ii A, Ii B, & Ii C.
-Maximum Current Permissible 2 Amps Ac / Dc. -Aluminum Diecast, Powder Coated For Superior Corrosion Resistance. -Easily Settable Colour Coded Cam. -Serrated Cams Locked Together Ensures Adjustment Settings Secured Against Any Vibration. 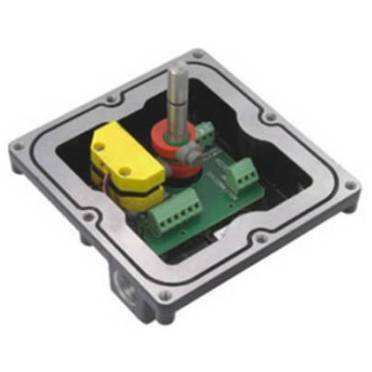 -Switch Box Conforms To Exd Iic, T6 Highest Level Of Safety. -Cable Entry (3/4)" Et, M20, (1/2)" Npt Or (3/4)" Npt. -Special Pcb Eliminates All Wiring From The Switch Element To The Terminals. -All Fasteners In Stainless Steel. -Additional Mounting Hole To Unc. -Atex Certified By Cesi, Italy. Certification No. Cesi 05 Atex017. -Ul Certified, Conforms To Ul 1203 & Ul508, File No. 246615. -Temperature -20° Cto 80° C.